Tom Leppard, the British man whose extreme tattoos earned him the moniker "The Leopard Man of Skye," has died at the age of 80. Born Tom Wooldridge, Leppard served in the military for nearly 30 years. When he retired, he spent over $7,000 covering his entire body with leopard tattoos and moved into a self-made shelter in a remote part of the Isle of Skye. Guinness Book of Records Editor Norris McWhirter launches the latest version of the Records Book with the help pf Tom Leppard, who has an amazing 99.2% of his body covered in a Leopard Design at a photocall in London. Leppard lived on his own without electricity or modern amenities for around 20 years, serving as something of a tourist attraction. Guinness World Records listed him as the most tattooed male senior citizen before he died, with 99.9 percent of his body covered in ink. 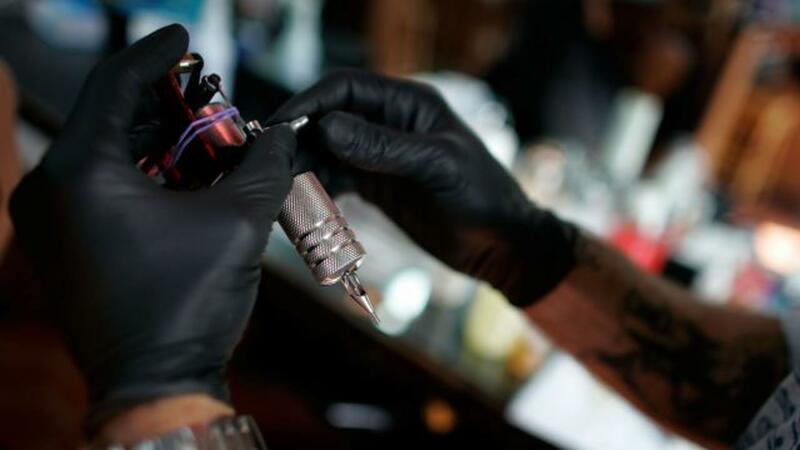 Leppard previously held the title of most tattooed man, but that award now belongs to New Zealand man Lucky Diamond Rich, who has had 100 percent of his body tattooed. In an interview with The Guardian in 2008, Leppard said he had "no interest in a TV, or a radio. Nor do I want a telephone. ... My life hasn't changed much — I never bothered people when I lived in the bothy [hut], and they didn't bother me, and I'm not really that interested in what else is going on outside." Leppard moved to a care home in the nearby village of Broadford in 2008, saying he was getting too old to live alone. He died in an Inverness nursing home.